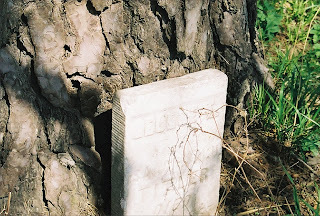 We come to the end of the photographs that I have in my collection in regards to the Titler Cemetery located northwest of Marengo, Iowa. As you can see I do not have a completely documented cemetery. I do not live in the area and was visiting at the time back in 2003. I do hope that these photographs that I did take will be of help to others. 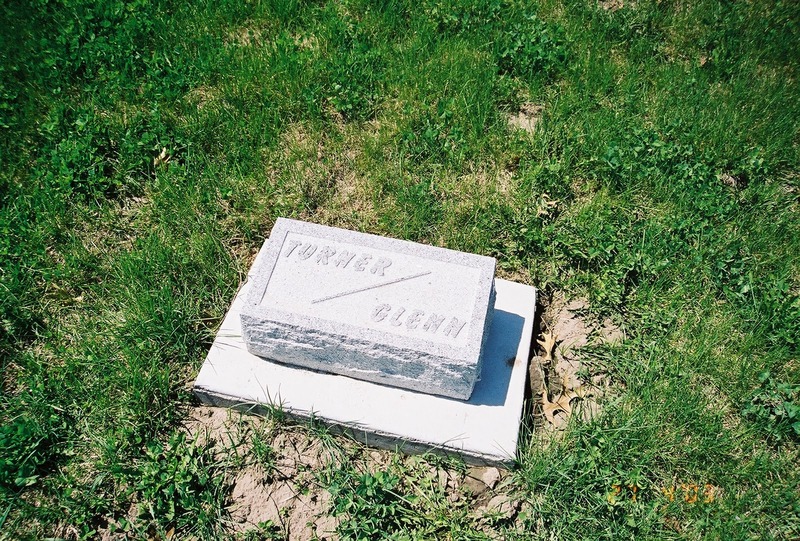 When I visited the "Iowa County Genealogical Society" they told me that the plat map for the cemetery was missing. I hope that my photographs might be found by someone who may know where this map is and will see that the information is forwarded to the Iowa County Genealogical Society which is now located in North English, Iowa. See my link for the society to the right under Favorite Links. 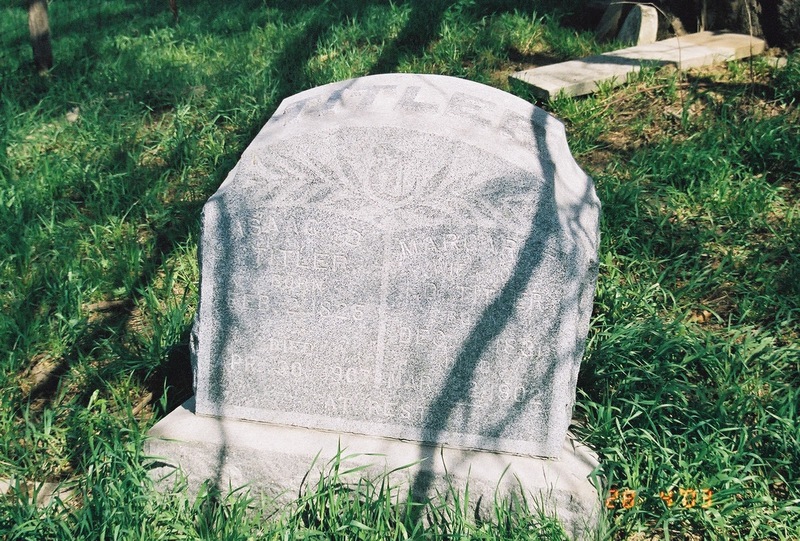 Make sure you understand that it is Iowa County which is the county genealogical society vs. the state genealogical society which is called "Iowa Genealogical Society." It can get confusing. Source: Iowa County Cemetery Stones & History 1844-1975, compiled by Pauline Lillie for the Iowa County Historical Society Bicentennial, 1976. 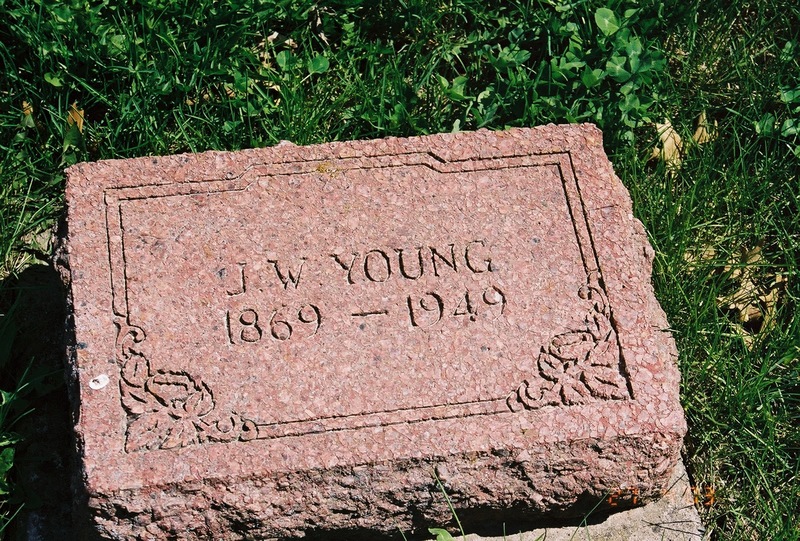 Approximately 102 burials listed in her publication. I found this at the Iowa County Genealogical Society. Location of Titler: Marengo Township 81, Range 11, Section 13. There is another publication done by a Ms. Sanchez that my cousin found at the Iowa Genealogical Society (not to be confused with Iowa County Genealogical Society). Both are in the state society located in Des Moines, Iowa. Source: Cemeteries Marengo, Iowa County, Iowa, Originally transcribed by Mrs. Kaye Sanchez and finished in 1968, Des Moines, Iowa, retyped by Marion A. Gunderson 2001. There are discrepancies between the two publications and my suggestion is to consult both of these publications and then study my photos of the tombstones. Surnames listed in the publications that did not get photographed are: Baugh, Baughman, Bolger, Cladwell, Carter, Cavender, Crouch, Garby, Grouch/Crouch, Hanson, McLaughlin, Tarney, Tracy, Troup, Webster and Wood. 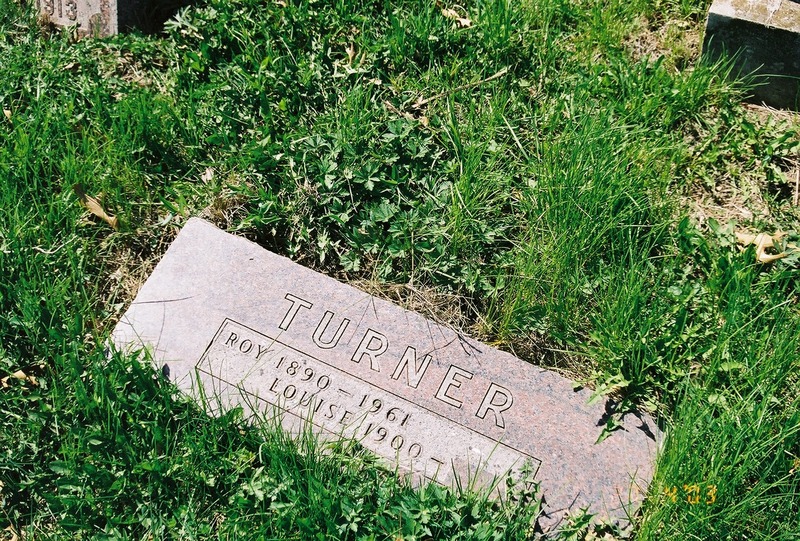 Please realize that even the stones I did photograph are not necessarily complete and you need to refer to the two publications for as complete a picture of the Titler Cemetery as possible near Marengo, Iowa. 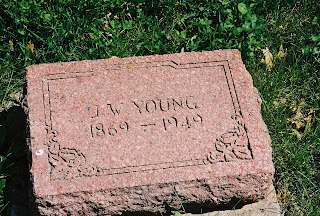 The last stones for this cemetery are Wanamaugher/Wannamacher and Young. and G.A.R. Marker (foot stone S.C.W. Apparently the stone that is behind this square base is probably the stone that should be on the top of the square base. So I only captured the information of the base. The other stone that looks like a obelisk might have other Wannamaugher names listed on it. Unfortunately I did not capture it in a photo. There seems to be a difference in the spelling of the name between the two publications of Ms. Lille and Ms. Sanchez. When visiting Iowa in 2003, I studied the newspapers at the Blairstown Public Library to see if I could find an obituary notice in 1859 for Elizabeth Keller Spracklin (posted dated September 11, 2010). 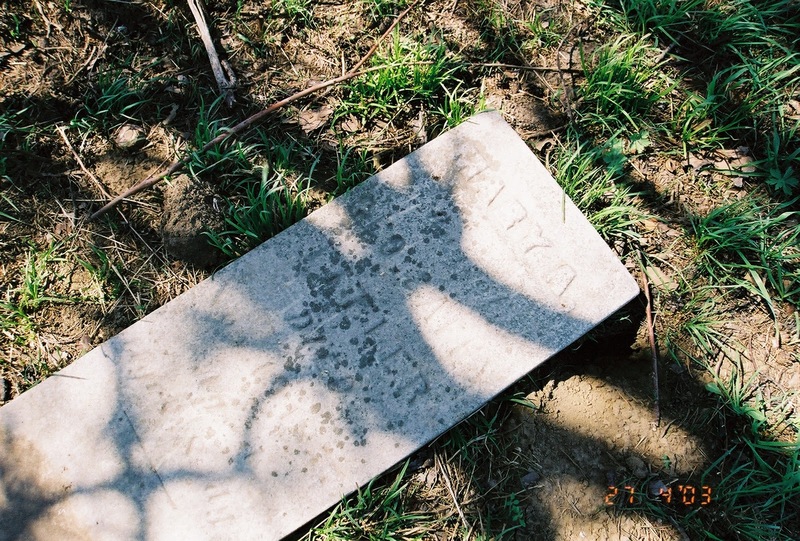 I have featured her stone in a past post. 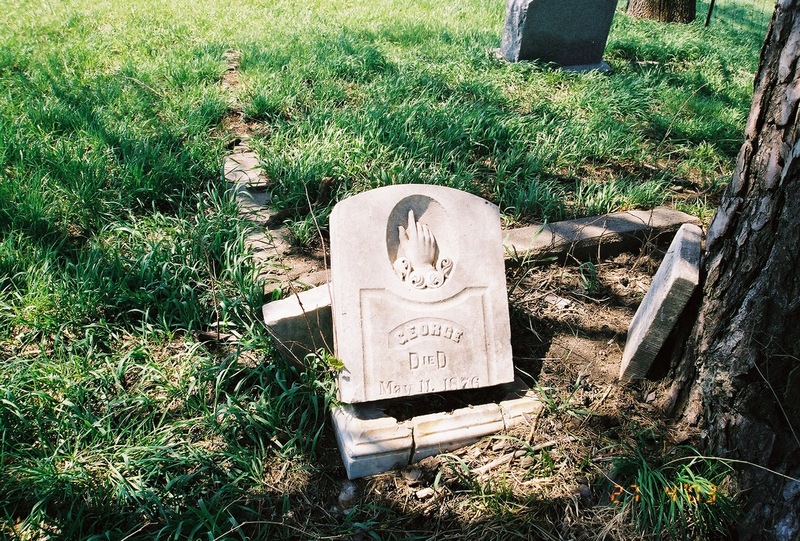 She died in February of 1859. I was unable to find one for my 2nd great grandmother; however, I did see obituary notices for other individuals and the name "Titler" stood out and I believe they were prominent in the area at that time. The newspaper of 1859 talked mostly about farming and the prospects for business. The Blairstown Library was in a metal industrial building on the edge of town because they were in the process of building a new library. The actual genealogical collection was in the basement of the bank because the person in charge was worried something would happen to it. I had to come back the next day to access the genealogical collection so I made an appointment with the very helpful and nice librarian for the next day to come back and visit. She was so kind she closed the library up while I tried to do research in less than ideal circumstances. I believe they have since moved into the new building on Locust street and things are much better. However, I would call to make an appointment to be safe. There is a history book for the town of Blairstown, Iowa "Blairstown History: 1862 to 1987." The book gives no reference to who published it. I picked up a copy at the library in 2003. There are other Blairstown's in other states and counties so make sure you focus on Iowa. It does have Family History on pages 77-116. It does not have an index. 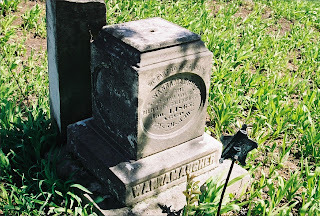 There was no other information on the last stone and no dates but I do believe it is a new stone not listed by Ms. Lillie (1975) nor Ms. Sanchez (1968) in their publications that I found at the Iowa Genealogical Society. 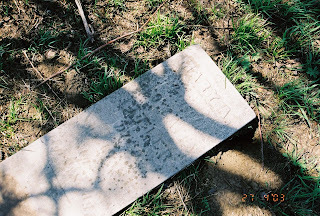 See my post for July 26, 2010 for the information on the publications of this cemetery.